I guess I shouldn’t tell you that the process took two years, because inability to finish projects isn’t one of my characteristics (seriously, ask my husband, once I start something, I have horrible tunnel vision and other things will be left undone). No, this was more about the fact that I had a steady cadre of recurring, long-term clients who kept me busy and made it unnecessary for me to actively market. Still. Not a best practice for a writing business…True this. So, I buckled down and refreshed it this past week. VOILA. When you take on the occasional British client, you’ll inadvertently spell things very British-ly. So if you see any typos, go ahead and let me know. Refreshing your website is an exercise in bolstering your self-esteem. Because, damn have I done a lot in my ten years of writing and communications consulting. 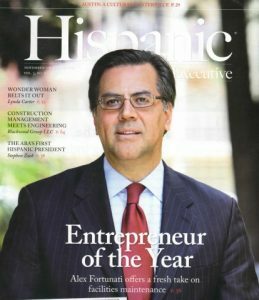 One of my favorite clips that I had entirely forgot existed is the issue of Hispanic Executive magazine wherein I had three stories, including the cover. Good times. Here’s the PDF, if you’re interested. So, yeah, feel free to poke around my little home here. I had fun building it. Oh, and PS- I am now accepting new clients and/or projects. Contact me here.